bag with the other, singing along with the radio as he admires the scenery driving through the mountains of Colorado. Deciding it is too warm in the cab, he changes the AC controls and flips down the passenger-side sunshade to find his favorite sunglasses. He puts on a baseball capas he rolls down his window. He glances at his GPS monitor and sees he has four more hours until he reaches his destination. He calls his wife to tell her he plans on being home sooner than he expected. How many examples of distracted driving do you see? To put it another way, a distraction is anything that takes your eyes off the road (visual distraction), your mind off the road (cognitive distraction), or your hands off the wheel (manual distraction). So when you think about tasks that can be a driving distraction, you can see that they often fit into more than one category: eating is visual and manual, whereas using a navigation system is all three. Crashes related to distracted driving have reached epidemic proportions as more people take for granted the amount of undivided attention it takes to safely navigate America’s roadways. According to www.distraction.gov (the official US Government website for Distracted Driving), 3,179 people were killed in 2014 in distracted driving crashes. Some distractions, like cell phone use, garner headlines in the media and are one of the first considerations for distracted driving. However, as you can see from the example above, there are many more types of distractions that many people simply don’t consider. 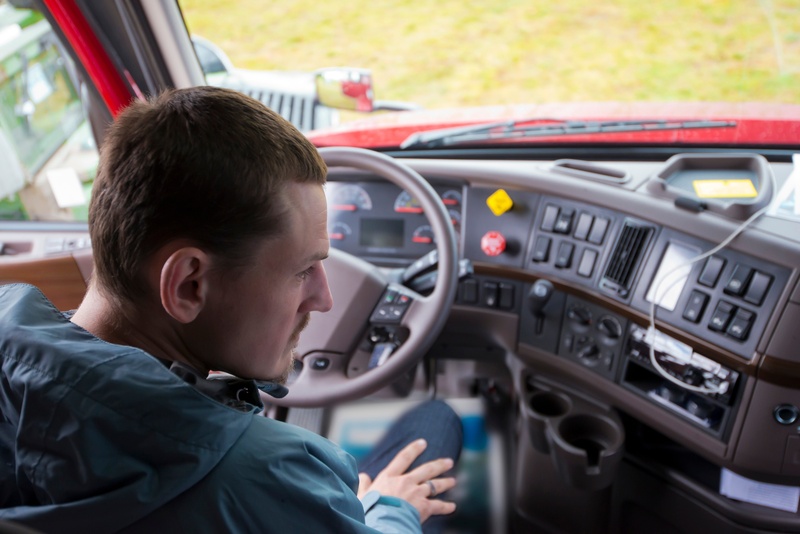 At Joe Morten & Son, Inc., we know truck drivers are faced with a variety of situations every day in which either they themselves become distracted or they encounter another distracted driver on the road. While asking drivers to eliminate all forms of distraction is an unreasonable expectation (even a wandering mind can cause someone to lose focus), we want to help wherever we can. Over the next several months, our goal at Joe Morten & Son, Inc. is to include a series of articles and recommendations designed to raise the awareness of distracted driving. This information will be available on our website as well as our Facebook and LinkedIn pages. Additionally, posters, flyers and other printed materials will be available for download. Please feel free to use this information and share it with everyone in your organization as we are all impacted by distracted driving even if we are not professional truck drivers ourselves. Click here to read our first installment of this series: “Cell Phone Reminder: Hang Up and Drive.” This is a blog originally posted by our colleagues at Great West Casualty Company in May 2016. It has questions and answers specific to the trucking industry. Safe travels and careful driving! Our Risk Management Specialist would be happy to share more information with you regarding this topic. Feel free to give him a call!